aptitudetraining.in very fruitful for my improvement. Now I know how to manage time in aptitude tests. "I would like to convey my sincere thanks to ipsr training division. Here I joined for IT Finishing School .NET course. Getting a job was the toughest thing until I joined IPSR because of lack of confidence in technical knowledge. The technology training by the faculties are really good. The syllabus includes latest technology and trends which are actually needed in IT industry. Communication Skill Development classes helped me face the job interview with ample confidence. I am very happy to say that, I got placed in the first interview itself. I will strongly recommend the students to join IPSR IT Finishing School, for those who want a good career in IT Industry. Thanks IPSR"
"All the trainings including technical as well as soft skills I received from IPSR is a great asset. Actually I came from a Non IT background and joined IT Finishing School .NET course. The technology training at IPSR improved my programming skill. The faculties helped me to a great extent. The Communication Skill Development classes helped to improve my interview skills. Recently I got placed as Software Engineer in the first attempt itself because of the excellent experience I had from IPSR. Thanks IPSR team !!! "At IPSR, the Communication Skill Development team helped me to improve my communication skills and interpersonal attitude. They provide personality development classes and job oriented programs which helped me in my interview. Teachers are very talented and they helped to improve my technical skills especially during my internship period." "I had many supplementary papers in B. Tech. So I was not confident to attend interviews. But since I came here at IPSR, things all changed. With the support of IPSR, I got placed. Something I never thought that I could achieve. Their Online Aptitude tests was very helpful for me to crack the interview processess. 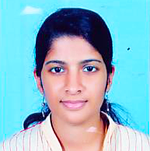 "I successfully completed the six months programme in PHP at IPSR. IPSR gave me that extra 'something' for clearing interviews. And this was mainly Aptitude Tests through e-Leraning portal. Today I have achieved my goal of getting into a leading company in Trivandrum. I would recommend all students who have completed their B.Tech. to do an internship programme and make use of their aptitude portal which can increase your aptitude and get you placed." ""Since I’ve a two years gap, I found it difficult to talk about it in any job interview I attended. Also my family was settled in Cochin, and that’s why it was my need to find a job here in Cochin. IPSR provided me with such training, that finally I could get my ideal job at an ideal location. And I will be very thankful to all the people at IPSR who were involved in helping me in different ways, mainly Aptitude Training which includes aptitude tests and also technical ones." 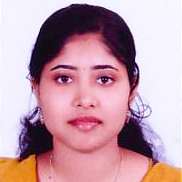 "While searching for doing a career oriented programme, I found IPSR via internet and came to know more about IPSR. When I realized that internship program by IPSR is the best training & placement solution, I joined for the same soon with 6 years gap in my studies. Internship programme followed by Communication Skills Development activities and Aptitude Training helped me to clear technical interview rounds. The aptitude tests which I practiced during my internship was the reason I got through initial rounds. Aptitude Training helped me to analyse how much I’am familiar with the topics in REDHAT (RHCSA,RHCE). I had a great experience in doing the aptitude test of IPSR Portal, it helps me to improve my programming and analytical skills am really thankful to IPSR for being a partner in my success. “I would like to convey my sincere thanks to ipsr training division. Here I joined for IT Finishing School .NET course. Getting a job was the toughest thing until I joined IPSR because of lack of confidence in technical knowledge. The technology training by the faculties are really good.”. PHP Developer, Feather Soft, Cochin. The training I got from IPSR was very fruitful for my improvement.IPSR provided me with such training, I will be very thankful to all the people at IPSR who were involved in helping me in different ways, mainly Aptitude Training which includes aptitude tests and also technical ones.”. 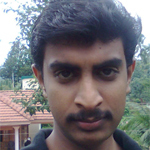 RHCE - Junior Linux System Admin, Vi Point solutions (P) ltd, Kochi.
" When I realized that internship program by IPSR is the best training & placement solution. Internship programme followed by Communication Skills Development activities and Aptitude Training helped me to clear technical interview rounds.